View cart “Acrylic LED Floating Shelf” has been added to your cart. 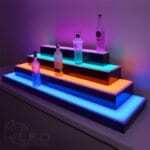 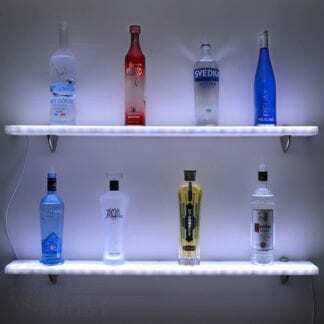 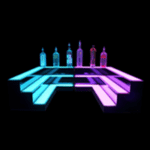 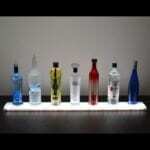 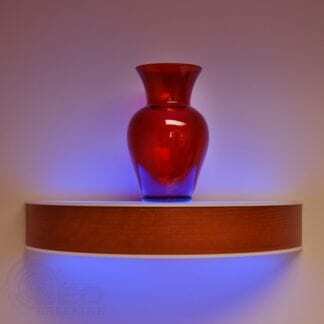 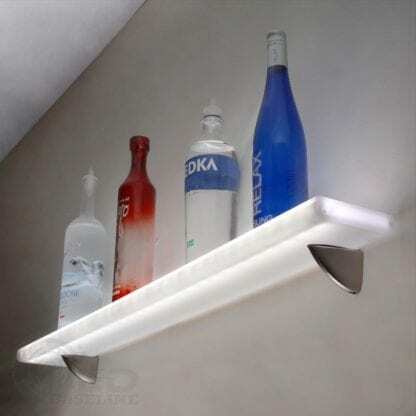 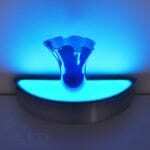 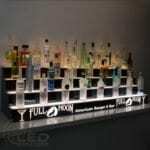 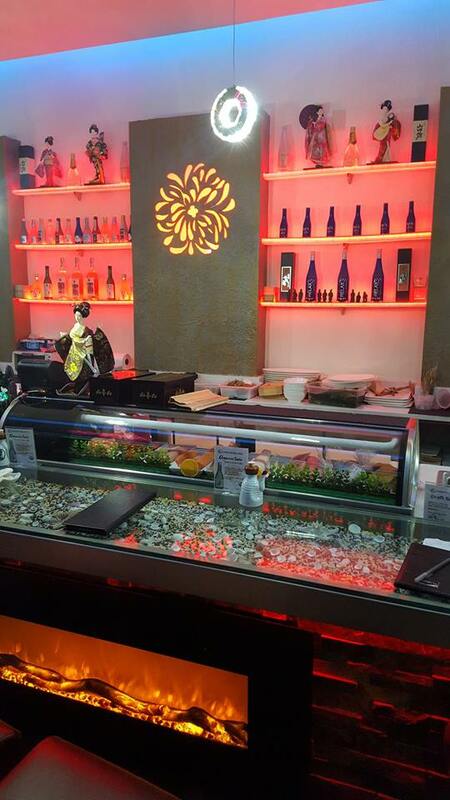 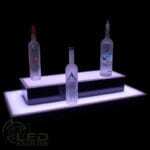 LED Baseline’s acrylic LED floating shelf is illuminated by remote controlled, color changing LED lights. 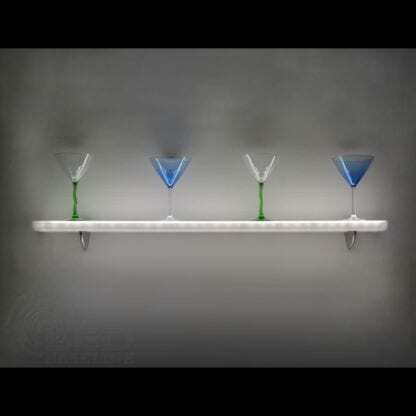 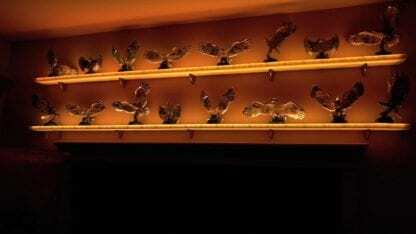 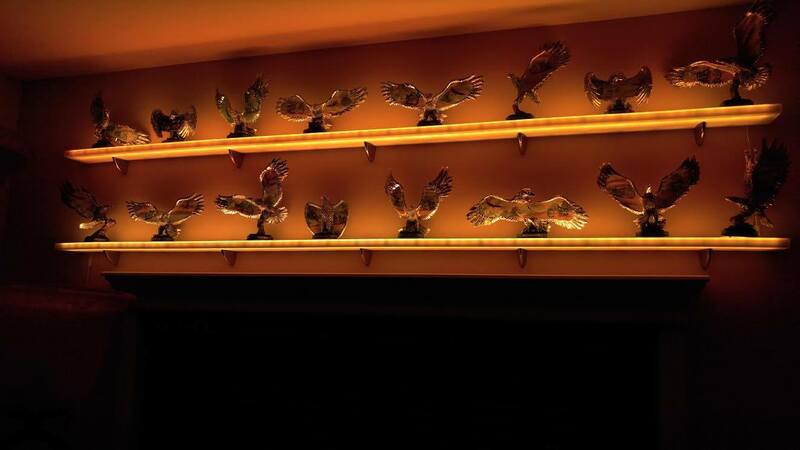 These lighted wall shelves make a great accent piece to any room thanks to their glowing, floating effect. 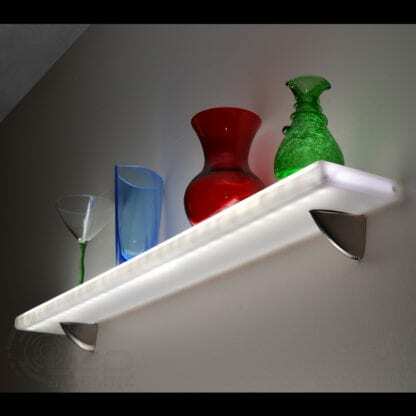 Installation is easy thanks to a sturdy wall mounting bracket. 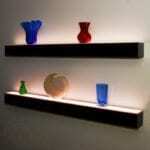 They can also be dimmed down for ambient lighting in a softly-lit room or used as an attractive night light. 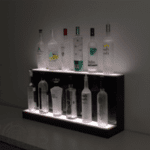 Our LED floating shelves are versatile; they are great for displaying glassware, liquor bottles, sculptures, pictures, collectibles, and more. 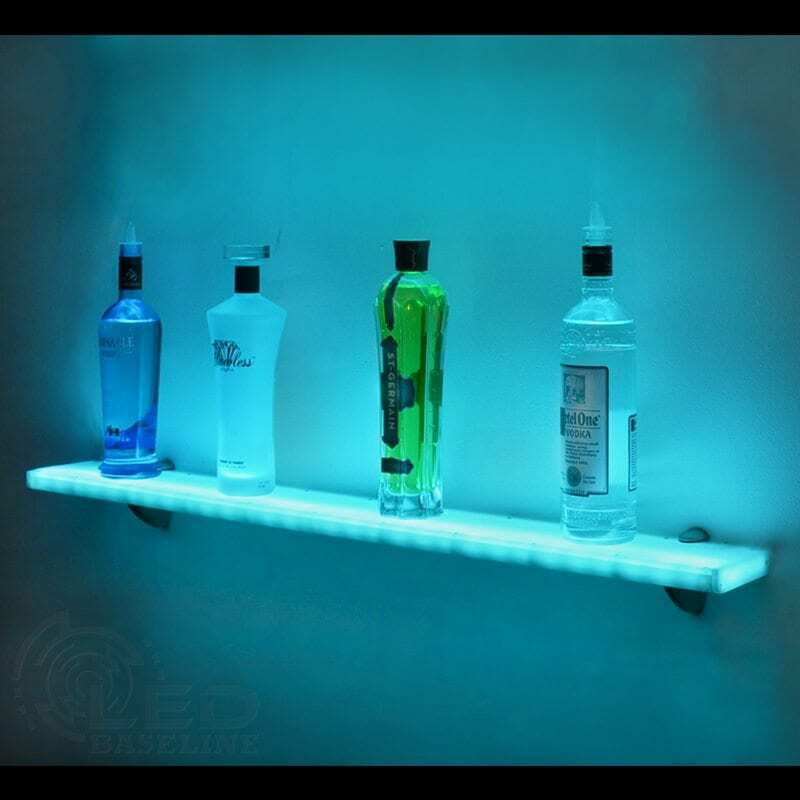 The standard dimensions for our acrylic LED floating shelf are 1″ tall, 4.5″ deep, and from 12” to 96” in length. 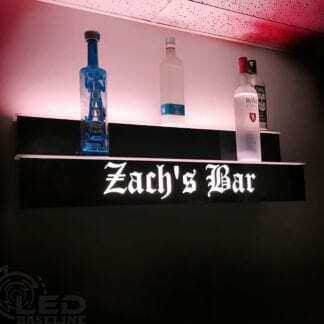 Custom dimensions are available upon request. LED Baseline’s lighted floating shelves are constructed of antimicrobial, high-density polyethylene frames and scratch-resistant acrylic panels. Installation is easy thanks to sturdy wall mounting brackets. 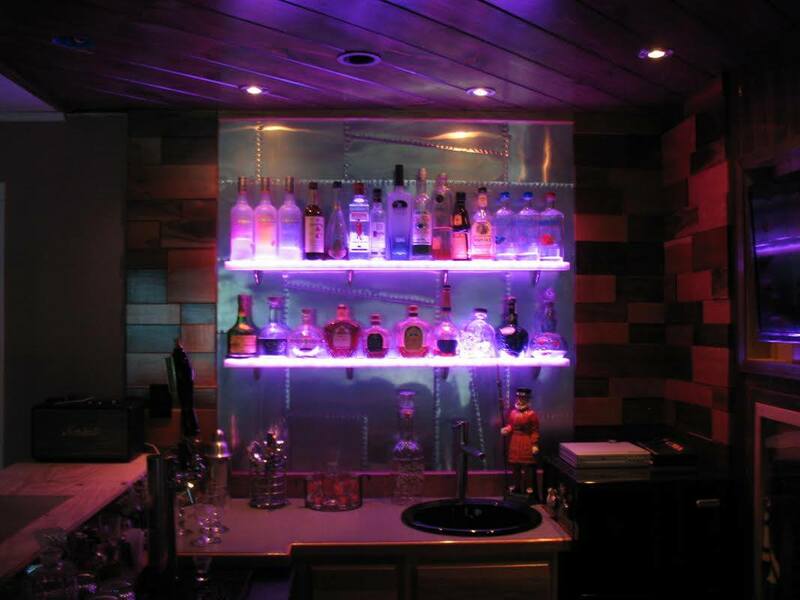 The standard finish is black, but we have a wide variety of custom finishes. 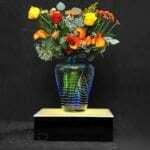 Please contact us with any additional questions.